Select a sleep item in your Timeline. Tap on the three dots at the top right of the screen. 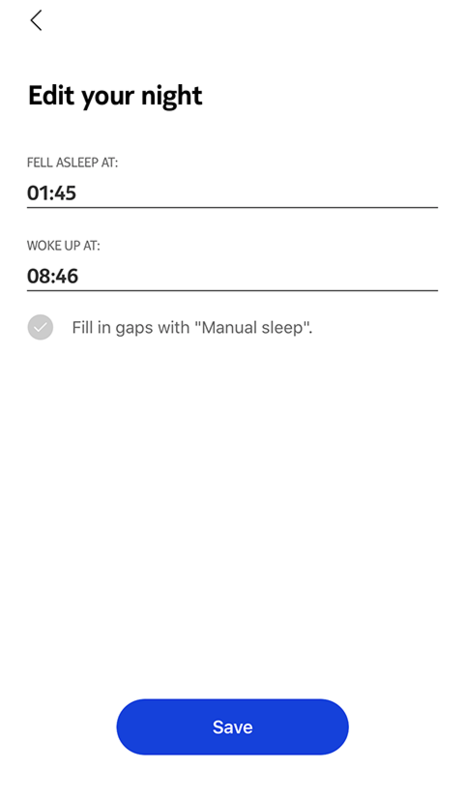 Tap on Fell asleep at and/or Woke up at to update your sleep data.